Cedar Rapids, Iowa - October 13, 2014 - Having just completed his Iowa bicycle tour, during which he spoke with thousands of Iowa voters, U.S. Senate candidate Rick Stewart has now moved his 'living room' into a colorful cargo trailer and plans to re-visit all 99 Iowa counties before November's election. "More than a few Iowans were too busy to come to my house for Sunday waffles with my grandchildren, but they still wanted a chance to talk to a candidate," said Stewart. 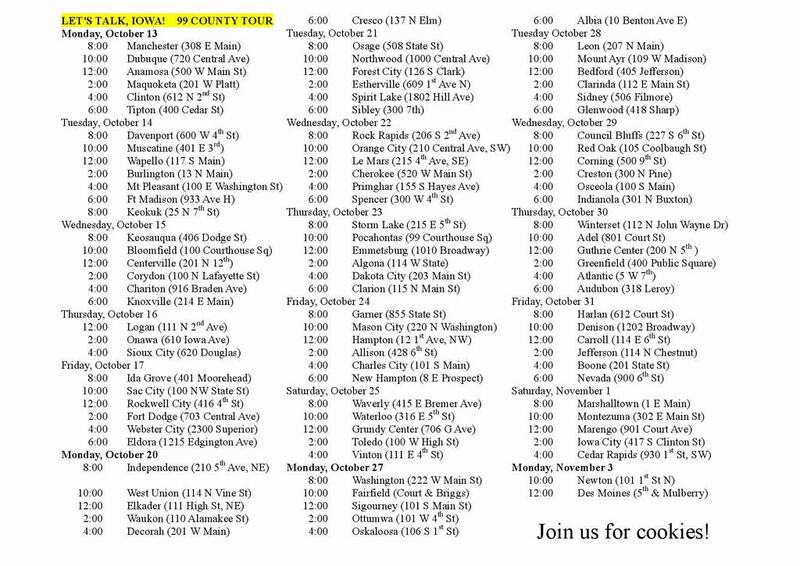 "On this tour I am offering Iowans a chance to eat some cookies and talk some politics in my living room. Come to the county courthouse and look for the best looking trailer this side of the Mississippi." Stewart contrasts his style to that of his opponents, saying there is no television in his living room so conversation will not be interrupted by negative TV ads. "Just straight forward talk about issues. No sound bites with consequences in my house."